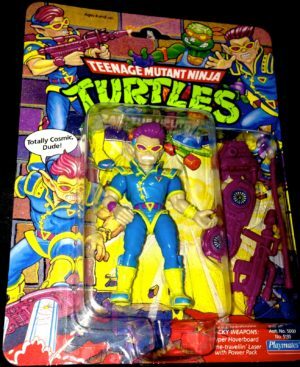 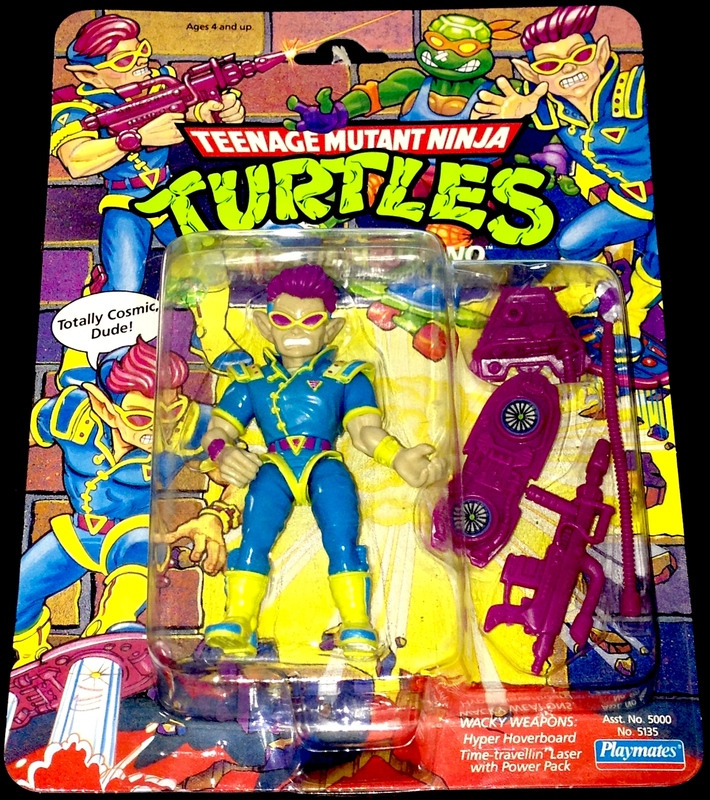 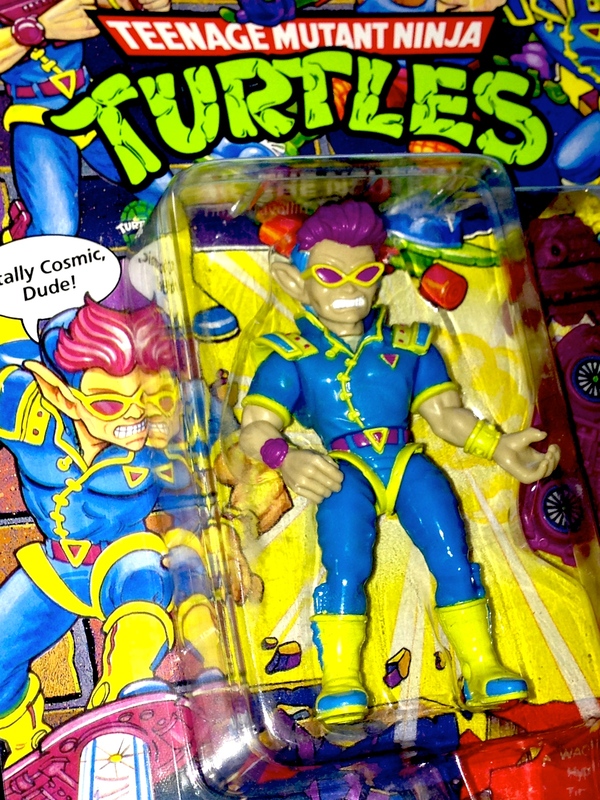 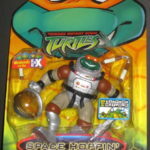 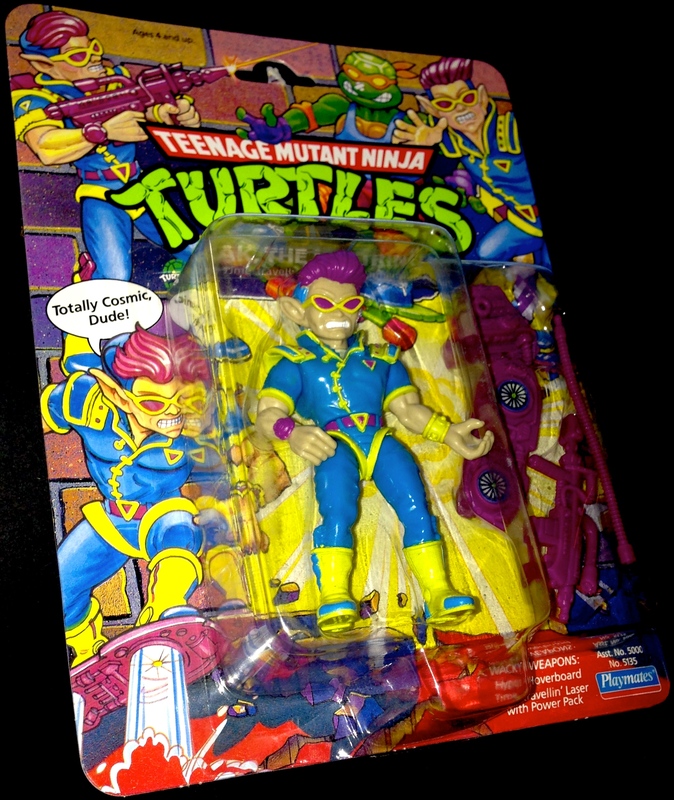 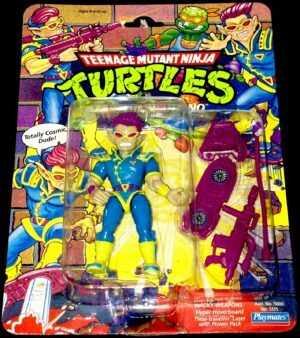 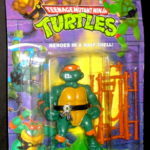 Zak is time traveling Ninja Turtle who wears a blue and yellow space age inspired outfit. 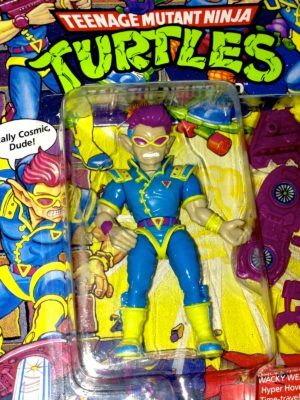 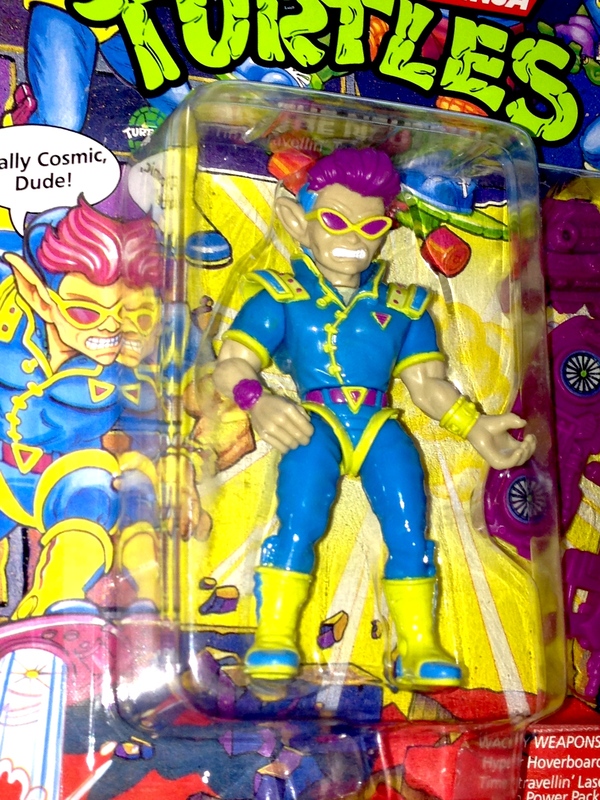 He also wears blue and yellow shoes and a purple belt, watch, and glasses to match his decked out hairstyle. 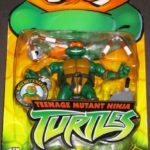 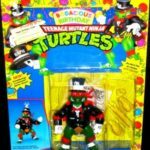 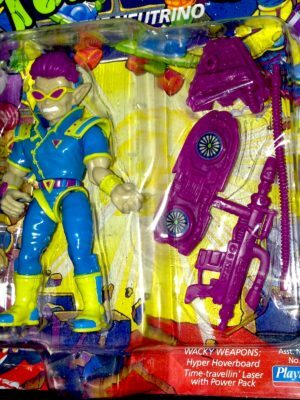 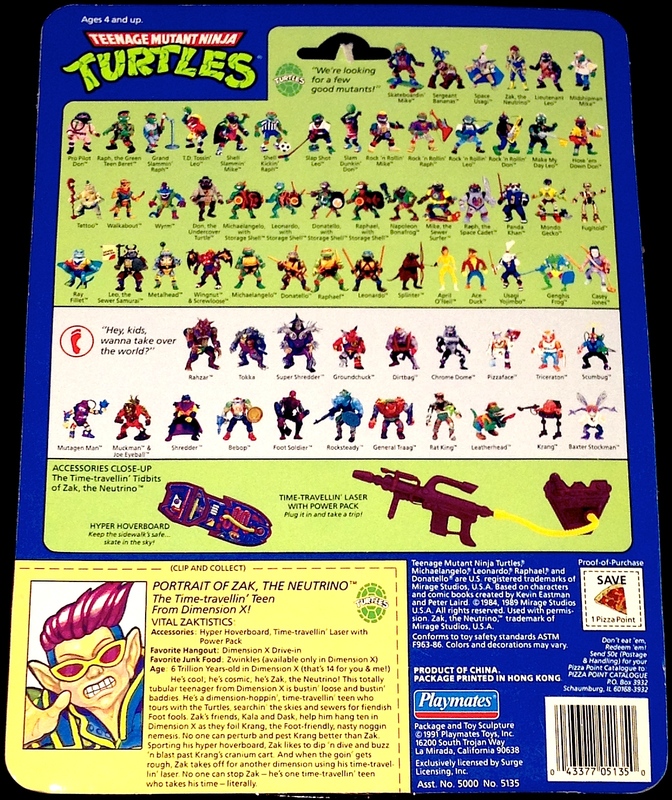 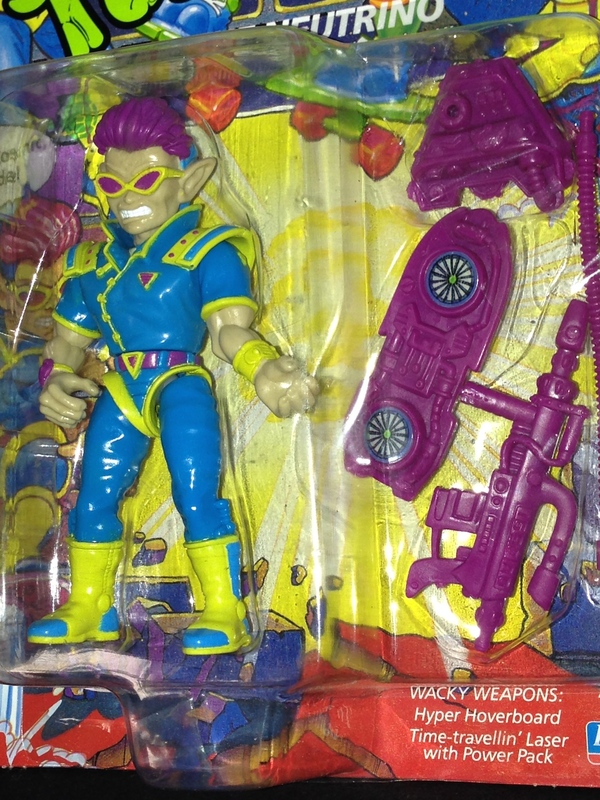 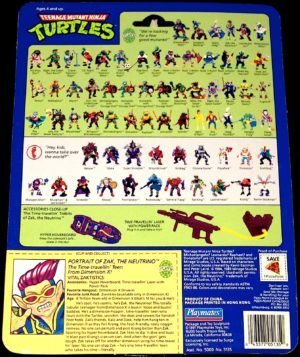 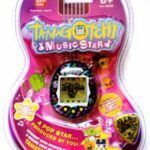 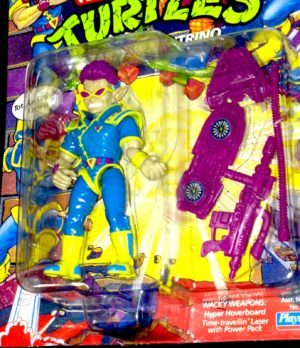 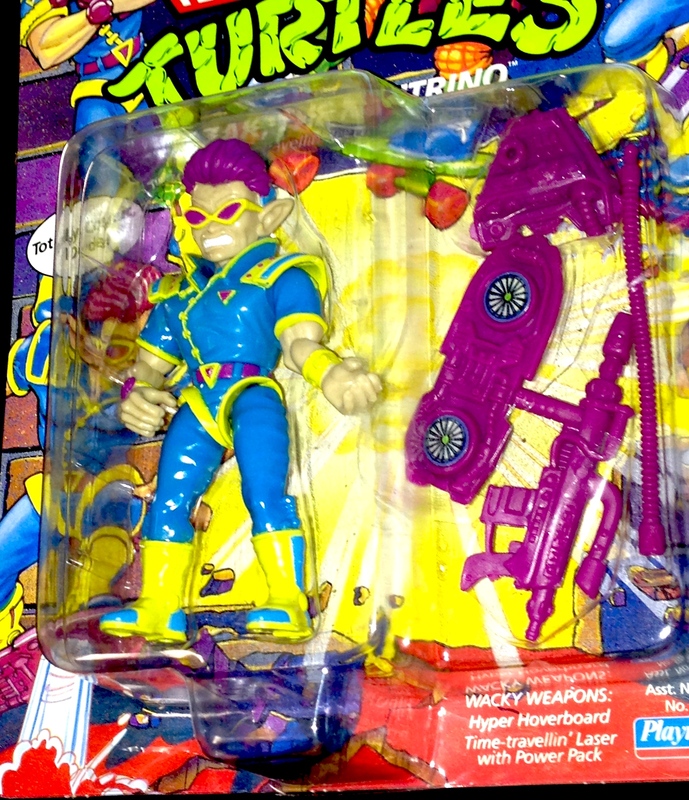 Weapons included in the package are Zak’s Hyper Hover Board and his Time Travellin’ Laser with its accompanying Power Pack.